When it comes to love-it-or-hate-it products out of Cupertino, few offerings can match the Power Mac G4 Cube for getting people to choose sides. Even a decade after its debut—Steve Jobs unveiled the Cube at the July 2000 Macworld Expo in New York and the desktop shipped a month later—the Cube still stirs passionate debate between its detractors and defenders. What isn’t a matter of a debate is the Cube’s commercial success—or more accurately, its lack thereof. The G4 Cube was a flop at the cash register. In January 2001, Apple conceded that it had sold only one third as many Cubes as it had expected. It sold 29,000 Cubes between October and December 2000, compared to 308,000 Macs during that same quarter. And in the very next quarter, Cube sales fell to 12,000 units. 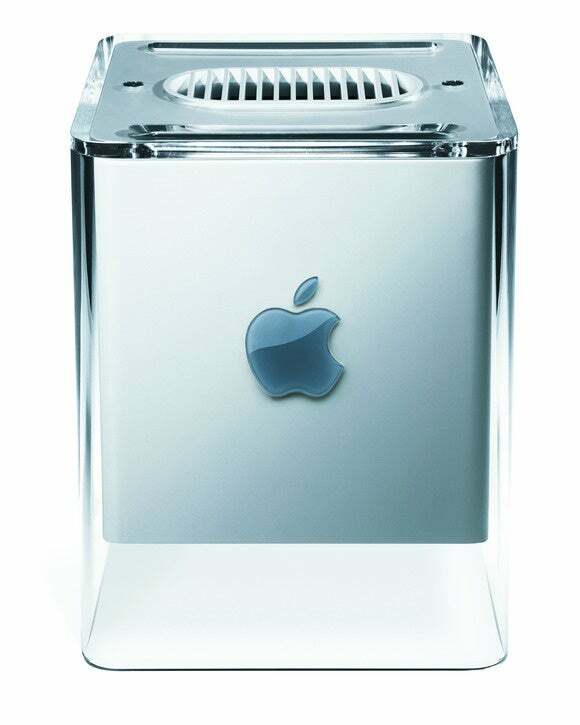 Apple ceased production of the Cube in July 2001, one year after its introduction. Why didn’t people buy the G4 Cube? With 10 year’s worth of perspective at our disposal, I can think of four key reasons the Cube never took off. How do you sell a computer that doesn’t look like a computer? Who do you target? That was the biggest problem Apple faced when launching the Cube—a computer so far out there in a land of generic beige boxes that it might as well have been an alien monolith perched on a crystal throne. Outsiders looked at the Cube and saw different things: an underpowered, over-expensive toy or—in contrast with the anthropomorphized everyman’s iMac—an emotionally inaccessible, ultra-geometric gray box suspended in an untouchable glass prison. Sure, there are the open-minded among us who can look past conventional design and appreciate something truly unique. A computer doesn’t need a grinning face to be beautiful. But those people are few and far between—they’re not only a minuscule subset of the population at large, but a subset of the Mac customer base itself. The Cube’s odd design limited its potential market from the outset. Even if you opted for a Cube and brought it home, you’d have to treat it gingerly to maintain its perfect appearance. The problem with making something intentionally perfect is that it won’t stay that way with use. Apple has a habit of making devices that are beautiful only as long as you never touch them, and the Cube is high on that list. Unfortunately for Apple, many consumers chose never to touch a G4 Cube at all. Even if you wanted to get your hands on a Cube, the lowest-priced model cost $1799 in July 2000 (about $2,279 in 2010 dollars). That model shipped with a 450MHz G4 processor, 64MB of RAM, a 20GB hard drive, a DVD-ROM drive, and an internal 56 kbps modem. It was fanless and small. Meanwhile, a Power Mac G4 tower with almost identical specs but a 400 MHz processor cost $200 less. It was obvious from the beginning that potential customers would have to pay a premium for the Cube’s unique design, not for its performance. Apple intended the G4 Cube for a mid-range market—one step up from the iMac and one below the most powerful Power Mac G4s—but it didn’t turn out that way. Only a few months after launch, industry analysts revealed that high-end Mac users were usually the ones springing for the Cube. It seems that more affluent Mac fans were most willing to take a risk on an expensive, unconventional machine with limited configuration and upgrade options. If people wanted a low-cost G4, the practical customers among them without money to burn could simply buy the $200-lower G4 tower and configure it however they wanted without limitations. And forget wooing switchers. At the time, common Windows PCs were capable of 1GHz CPU clock speeds and sold for far less. Apple fought an uphill battle in consumer perception to show that its lower-clocked G4 processors could perform just as well for a premium price. The Cube also launched in the pre-OS X and pre-iPod era, and we know now that both were essential products that made PC users reconsider the Mac platform in later years. Shortly after the Cube’s launch, reports of cosmetic flaws in the Cube’s transparent polycarbonate shell began to appear on the Internet from disgruntled customers. Some people brought home their shiny new Macs only to find what they called “cracks” on the corners and the top of the Cube’s case. Naturally, the press latched onto the story and amplified it into a PR nightmare for Apple, which found itself trying to sell a computer whose appeal largely hinged on aesthetics that was now being portrayed as aesthetically flawed. Apple’s official response at the time was that the apparent hairline cracks were just “mold lines”—normal artifacts of the manufacturing process. But customers balked, and it never became clear in the press if there were actually any defects or not. It’s unclear how many customers might have been spooked by the negatively publicity. But it probably didn’t add to the appeal of a $1799 machine. And the controversy certainly served as a latch point for critics eager to highlight reasons why Apple’s unusual computer was a frivolous waste of money. Sure, opening a Cube was easy. Flip it open, pop out a handle in the bottom, and pull the core of the machine out of the case. From there, one could easily access the three RAM slots and add an Airport card. There was only so much one could do to upgrade the system beyond that, however. While designing a compact computer, Apple naturally had to sacrifice some upgradability to squeeze everything into an 8x8x8-inch cube. Gone were the PCI slots of the Power Mac G4 tower line that helped those machines handle everything from professional audio production to movie editing via plug-in hardware. Furthermore, the Cube’s video card (nestled in a single AGP slot) had to be shrunken down to fit into tight quarters. As a result, few upgrade-worthy video cards fit into the machine’s small chassis. The Cube’s interior offered room for only one hard drive, so any extra storage you needed would have to be external. And the external drive market wasn’t anything like it is today—user options for USB and Firewire drives were limited in 2000. Ironically, the challenge of upgrading Apple’s strange machine is what drives the Cube’s fans today. For years, they’ve been squeezing in impressive CPU upgrades, adding fans, and even slipping the Cube’s inner chassis into larger cuboid cases to accommodate better graphics cards. That’s the spirit of a diehard Cube fan for you. After all, those few people who actually did buy Cubes during that one year period still love them to death.